Quality professional development. Education leaders liken it to a Holy Grail of sorts—one of those elusive benefits that administrators have sought for years, but can never seem to find. It is estimated that U.S. K12 schools spend $18 billion a year on professional development. Just wow. Schools have tried everything, from new-age train-the-trainer models to on-demand coaching to year-round required learning. But for all the talk about what constitutes quality professional development in schools, one area is often overlooked: the role that student feedback can play in helping teachers improve. Writing for eSchool News, learning consultant Alan November sums the challenge up nicely: “If you’re not including your students in teachers’ PD, you’re missing a key opportunity,” especially when it comes to training teachers how to use classroom technology. November offers a few suggestions for how to better include student voice in your next professional development exercise. Have your teachers sit in on a class in progress, or have a teacher lead students in a model or mock class environment that other colleagues can easily observe and comment on. Not only will observers see real interplay, they’ll also have the ability to ask the teacher and the students specific questions about what is and isn’t working in the classroom. “We often overestimate what students know about technology, or we underestimate what they are willing to do—especially if they haven’t been successful in a traditional classroom setting,” writes November. This thinking needs to change. What they know is especially important when it comes to educational technology, for example. November suggests assessing students’ knowledge on devices and software to understand where to focus. Understanding what students want, in terms of both knowledge and experience, can have a big impact on how teachers teach. Let students teach teachers so that teachers can teach other students. Huh? It’s actually pretty simple. Students are born innovators. They usually integrate new technologies and devices long before teachers do. Use that to your advantage. Consider hiring a particularly bright student or group of students to serve as your staff training liaison(s). Work with them to build courses and give students an opportunity to lead PD workshops. 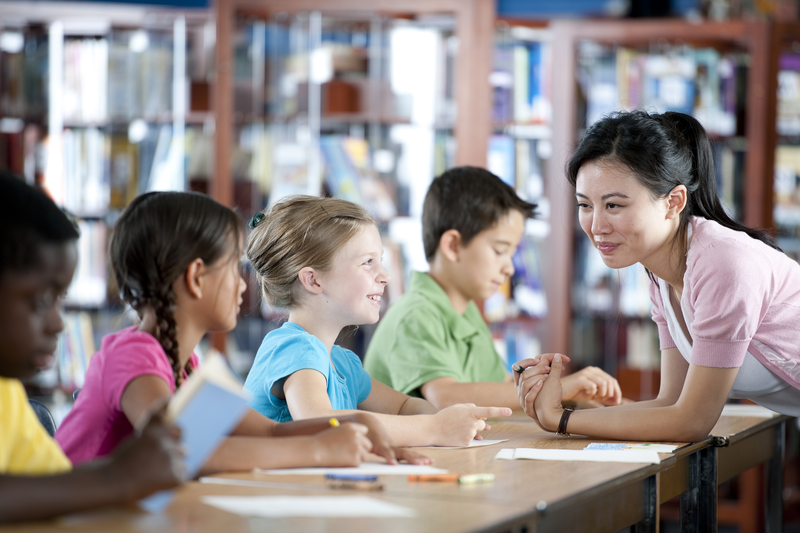 Do you actively include your students in teacher professional development activities? What strategies do you use? Tell us in the comments. Want to find out what students really think about how their teachers are performing in class? Why not ask them? Be the first to comment on "What’s missing from teacher PD? Students"